[April 2019] Which Are The Best Horse Clippers For Thick Coats? 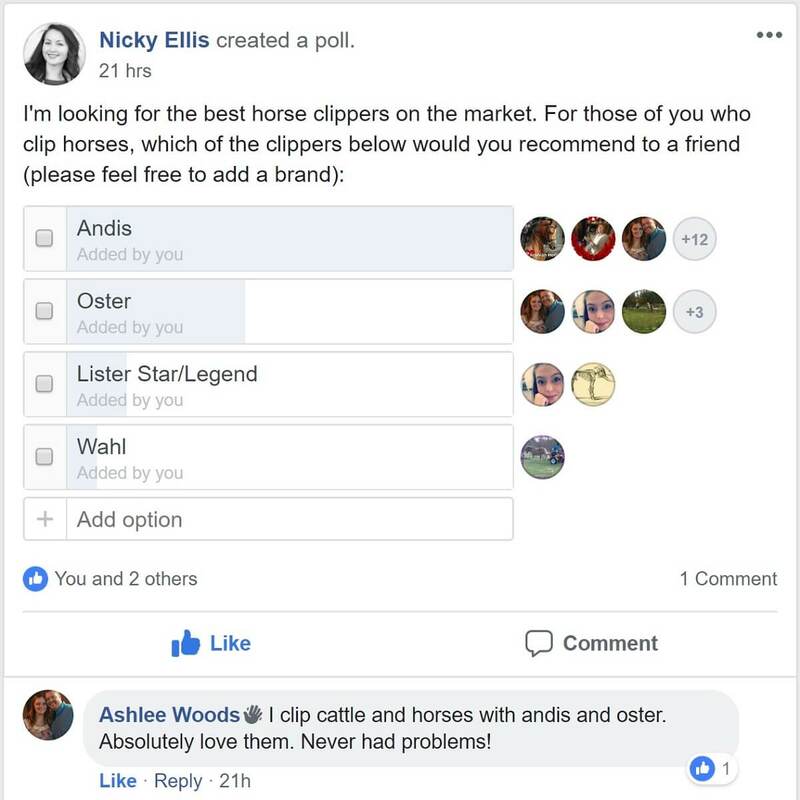 Which Are The Best Horse Clippers On The Market? Have you taken your horse for a good workout but see that his coat is wet with perspiration after the work session? A horse’s coat is thick, so it takes a very long time to dry out especially if it has had a long work session. This means that they will feel cold later. That is why it is best to use the best horse clipper to clip the hair of a horse whose work out happens regularly. Horses have thick coats and the skin creates grease in the winter time. This helps them to withstand the cold and wet weather. It keeps the horse warm but it could be unhealthy if the horse if constantly perspiring after a workout. To make sure that your horse is in a good condition, it is best to clip its hair frequently as part of the regular equine care. We do clip our horses regularly. My wife Nicky gave her mare Joy a blanket clip earlier this year, since she sweats very easily and has dense fur, and it took forever for her to dry. She also sweated when it was raining and she was only in a rainsheet. She is now much more comfortable, and it takes 5 min to dry now in winter. 2.1 1. Do horses need to be clipped? 2.2 2. Can you do all clipping tasks with the same pair of clippers? 2.3 3. How do you prepare clippers for trimming? 2.4 4. How do you take care of the clipper blades while clipping? 2.5 5. What’s the best way to clean the clippers after clipping? 2.6 6. What’s the best way to store horse clippers? 2.7 7. Are some coat colors harder to clip than others? 2.8 8. Is it harder to clip a miniature horse or a pony than a full sized horse? 2.9 9. What’s the best way to clip a nervous horse? 2.10 10. What can you do if clipping causes you pain? I’ve checked my favorite horse forums, talked to my friends and my family, and shortlisted the following (in my view) 5 best horse body clippers that are on the market this year. I’ve personally tried all 5 of them, and you won’t be surprised when I tell you that each of them has its pros and cons. I own Lister Star and Andis clippers at the moment, and I let you judge yourself which of the five fits best your own needs. Here is what people in the Friendly Horse Questions facebook group thought about them when my wife ran a poll there. Andis and Oster received the most votes. 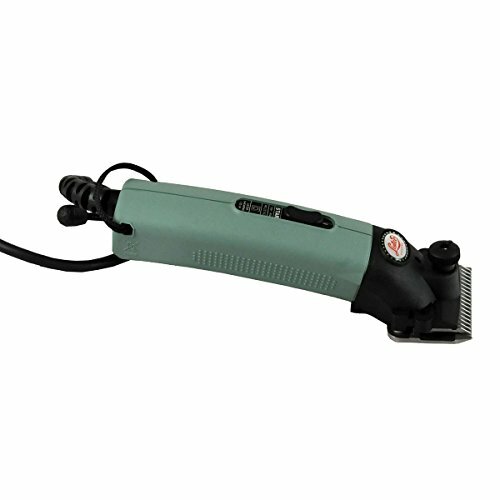 These heavy duty clippers are designed for thick coats, and will not clog or jam up while being used. They are powerful, efficient and fast – just what you need for a good clean clip, especially if you have a horse who isn’t that keen on the process. Maintains a constant speed even in areas where the coat is particularly thick – You won’t have to worry about the clippers slowing in thicker areas, which can give you an uneven clip. These clippers will just glide on! Overload switch – This is a very useful feature as it will protect the motor from damage if the clippers become clogged or jammed. Includes carry case, blade oil and instructions – This is a welcome money saver as you won’t have to buy an extra case to transport your clippers – they come in their own specially designed protective box. Light enough to use for long periods – Unlike some clippers which are so heavy they leave you with a sore arm, these are light enough to use for hours. Great news if you have a herd lined up! Can be noisy – If you have a horse that doesn’t enjoy the clipping experience, you will want it to be as quiet as possible to avoid spooking. Some users have reported these clippers to be on the loud side. May vibrate more than some others – Because they are heavy duty clippers, some vibration is impossible to avoid. It may be wise to test these clippers on a horse who is happy to be clipped so you can see how much the vibration is likely to affect one that doesn’t like it. A great set of clippers that come with a blade and oil for easy maintenance, these are a good addition to any tack box. If you have a hairy horse (or lots of them) you will want something that is easy to use and that can cope with a big job. These clippers have got you covered! You can keep your horse comfortable in hot weather, or use regularly on your old boy with Cushings – whatever your clipping needs, the Lister Star will meet them. 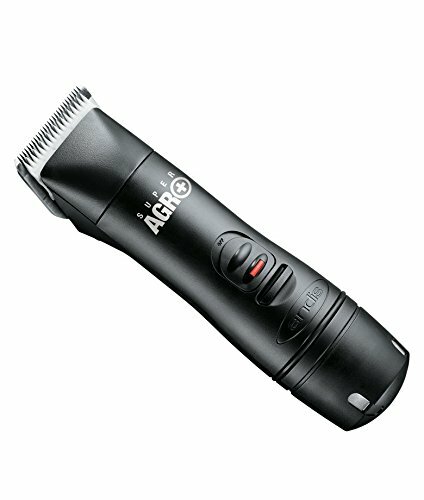 The Andis Super AGR+ is a cordless clipper that is rechargeable. It has a detachable blade and it can be used continuously for the full day. It is designed for heavy use. It has a battery pack which is high capacity and can run for over an hour. The charging too is fast as it charges in less than an hour. It has a refresh mode like a mobile phone has which enhances the performance of the battery. It is a full pack which includes the main clipper, Sensa-charge charging system, removable battery pack, a high-quality size 10 blade, a carry case and clipper oil. Excellent blade: The CeramicEdge blade remains 75% cooler than other blades in the market. This makes it easy and comfortable to use and your horse won’t feel the heat of the blade when you are clipping its hair. Powerful motor: The Andis AGR+ Clipper has 3,800 strokes per minute blade speed. You can use it for the full day. Since the rotary motor is very powerful you can use it for thin to thick coats and still get consistent and even cut. Battery: The high capacity battery of the Andis can run for 1 hour continuously. It recharges fast in less than an hour. It has a refresh mode which conditions the battery overnight and gives maximum output for the battery. Easy to clean: The detachable blades are easy to clean. Heavy: The only major complaint that you will see online about the Andis is the weight. Since the quality is high, the material used is excellent and the battery too is heavy because it is long lasting. This makes the clipper heavy. If you use it for a long period of time, you may experience wrist fatigue. The Andis AGR+ Clipper is the best cordless heavy-duty clippers. Every aspect of it is perfect right from the battery to the power to the blades. The clipper is durable and the blades are versatile. Since it is a premium product, it comes at a premium price but the product is well worth the price. The first thing that you will notice about the Wahl Figura Equine Clipper is that it has an amazing ergonomic design with a great and eye-catching red metallic finish. This clipper is stylish along with being comfortable to use. It has a slim and curved body which fits easily in your hand. The Wahl clipper is lightweight and quiet. Power: The best thing about the Wahl Equine Clipper is its power. It can go up to 6,000 strokes per minute. Runtime: The Wahl has a runtime of one and a half hour. This is more than enough for extensive grooming of your horses. In the event that you need more time, you can quickly charge it for 10-minute slots which give you additional 5-minute runtimes. Blade: This equine clipper has a 5 in 1 blade dial. This allows you to fluctuate between 5 cutting lengths which are the #9, #10, #15, #30 and #40 blades. It also has 4 guide combs. This gives you longer lengths. Easy to use: The Wahl clipper is quiet, lightweight and slim. It has a curved design which allows it to fit easily in your hand. Long use: if you use it for a long period of time, you hand starts to feel hot, uncomfortable and sweaty. The Wahl Figura Equine Clipper is an excellent clipper in the sub-$200/- market. It has a great design, powerful motor and good battery life. It has a one year warranty with a one-month satisfaction guarantee. It is an excellent buy if you are fine with the longer battery charge time. The Oster A5 Turbo 2-Speed Animal Clippers is a set of clippers which is made for professional and heavy-duty use. It is a budget clipper and the price is very competitive. You can use it for other pets too like dogs and cats along with your horses. The rotary motor is reasonably good and you can cut at two speeds. It is a very durable clipper and will last for years. Price: The price is the biggest advantage and you get significant discounts on Amazon. 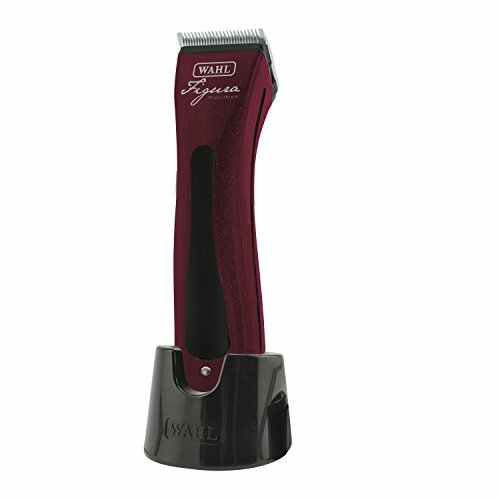 If you are budget conscious then this is a great clipper. Long lasting: The Oster brand is a reputed one which makes durable and long lasting clippers. The clipper will last you for years if you use it correctly. Multiple pets: Along with your horses, you can use it to clip other pets you may have like dogs and cats. Speed: The A5 clipper cuts at two speeds of 3,000 and 4,000 strokes per minute. Though it is not as fast as the above clippers we reviewed, it is good enough. Heat: The Oster A5 clipper tends to get hot very fast. This makes it uncomfortable for you to hold for a long duration and also for your pet as the blade may get mildly hot and cause discomfort to its skin. If you are looking for horse trimmers that are not too expensive but still does the job then the Oster A5 is the clipper for you. It is a budget clipper which is long lasting and can be used on other pets too along with your horses. A strong durable machine, this one is great at powering its way through even thick and dirty hair. Its slim, ergonomic design makes it comfortable in the hand, which is a key feature if you have an especially large or hairy horse, or if you have several horses to clip one after the other. Powerful motor – At 150W, this one is a workhorse (excuse the pun!) It can keep going all day and will still plough through the hair effortlessly. Ventilated head and air cooled blades – This is to ensure that the parts closest to your horse’s skin don’t get too hot and cause discomfort. Multi position grip – A great feature which allows you to change position when you want to, whilst still being comfortable. It can be tricky to clip certain areas with your hand in the same position, so the fact that you can switch around with these clippers is a plus. Minimal noise and vibration – The motor has rubber mountings which help to reduce excess noise, great for the horse who is nervous or less tolerant of being clipped. Can get hot on use in an oily coat – Bear this in mind if you are clipping a horse who hasn’t had a bath in a while! You may need to have a 5 minute break to let the blades cool before continuing. Comes with a hefty price tag – As we all know, you have to pay for quality, and these clippers are no exception. Think of them as an investment as they will last you for years to come! This is a lightweight design which makes it perfect for big clipping jobs or clipping multiple horses. The clippers have snap on washable air filters for quick and easy maintenance. You will receive a hard case to store and transport your new clippers, which is an added bonus as you can store them safely and keep them clean. A fantastic set of equine body clippers for any clipping job you may have. 1. Do horses need to be clipped? Simply put, no. 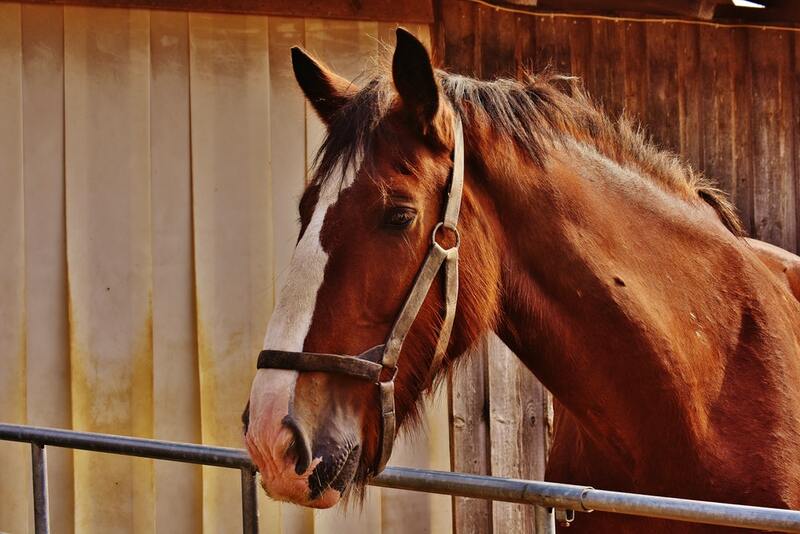 Horses grow long coats in the winter because they need long coats in the winter. A horse’s winter coat keeps him warm, prevents excessive drying of the skin and repels moisture. If you live in a very warm place, and your horse tends to grow an excessively long coat that would be uncomfortable during your winter months, clipping might be necessary. Otherwise, clipping is a matter of aesthetics and personal preference and may be required for some types of showing. 2. Can you do all clipping tasks with the same pair of clippers? It’s best to keep a smaller set of lightweight clippers for small areas such as around the fetlocks, under the jaw and in the ear area. Use larger, heavy duty clippers for full-body clipping. Additionally, it’s always a good idea to have a spare set of clippers in case you experience equipment malfunction during a clipping session. 3. How do you prepare clippers for trimming? Be sure the clippers are clean and well-oiled before you begin. Put a thin layer of lubricating oil over the blades and turn them on for about half a minute with the blades facing downward so that excess oil will drip off. Wipe them down before you begin. 4. How do you take care of the clipper blades while clipping? Clean and oil the blades periodically while clipping. Every fifteen minutes or so, dip the blades into a blade wash solution and allow them to run for a few seconds to wash off dirt and hair. Wipe them down and spray them lightly with a lubricating product, such as WD-40. If your clippers have overheated, switch them out with your spare set to give them a chance to cool down. 5. What’s the best way to clean the clippers after clipping? Take the blades off and clean them thoroughly with a small, stiff bristled brush. Be sure to dislodge any trapped hair. Clean the blades with a disinfecting blade wash, wipe them dry and oil them. Wipe down the body of the clipper. Be sure everything is dry and properly oiled before reassembling the tool and putting it away. 6. What’s the best way to store horse clippers? Keep your clipping equipment securely stored in a clean box or storage bag specifically for that purpose. If the equipment is at risk of being jostled, wrap it in a soft, dry cloth before storing. Don’t wrap the power cord around the tool. Instead, fold it up “accordion-style” and secure it with a twist tie. 7. Are some coat colors harder to clip than others? Light colors (especially white) are hard to clip because every line and mistake shows. Lots of practice and use of a #10 blade can lessen this problem. Horses with a dark coat (especially roan) are easier to clip because the mixed quality of a dark roan coat hides lines and mistakes. 8. Is it harder to clip a miniature horse or a pony than a full sized horse? Unsurprisingly, all the little nooks and crannies on a mini or a pony make it a little more difficult to do a good clipping job. This is when it really pays to have a good collection of equine clippers in a variety of sizes. 9. What’s the best way to clip a nervous horse? If you can clip another, more experienced horse first in an area, ideally contained using an electric fence, where the nervous horse can see the process and hear the sound of the clippers, it’s helpful. When you are ready to clip the nervous horse, begin by letting the horse see and smell the clippers. Perform a regular grooming and finish up by running the clippers over the horse with the motor OFF. Try introducing a little clipping in a non-sensitive area, such as the shoulder or the chest where the horse can see and is not too afraid of being hurt by the strange object. You may just want to start off clipping the areas the horse will allow (in a symmetrical manner) and keep it at that the first few times until the horse entirely loses any nervousness about clippers. Even though your horse will have a unique haircut for a while, the time and patience you put into the process will be worth it in the end. 10. What can you do if clipping causes you pain? If you are experiencing pain in your arms, shoulders or back because of clipping, you may just have a pair of clippers that is not compatible with you. Try out a few different sizes and styles to see which feels the most comfortable for you. Since clipping your horse’s coat may help improve the health of your horse especially if you give it frequent workouts so buying the best horse clipper is a good idea. As you have seen above, the best horse clipper in the market today, in my humble opinion at least, is Lister Star Clipper Heavy Duty, which is a really great heavy duty clipper for thick horse coats. 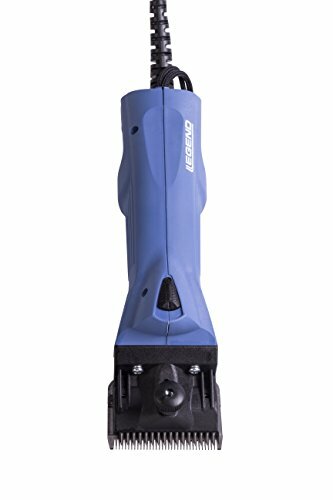 The best cordless horse clipper is then the Andis Super AGR+ with its powerful motor and long-lasting battery. If you want a more powerful and stylish clipper and don’t mind a longer recharge time then the Wahl Professional Equine Clipper is the one for you. 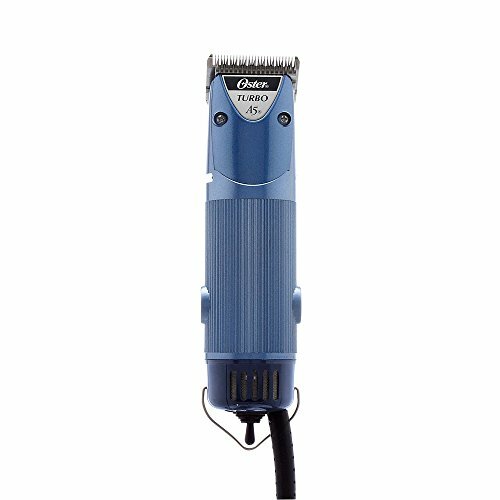 And if you want a budget clipper which gets the job done, then the Oster A5 is the clipper for you. Finally, if you’re looking for professional equine body clippers, try Lister Legend 110V Clipper. I tend to be the type of person that believes that you get what you pay for. If a set of clippers is going to cost me a hundred bucks or more, I would expect to have a nice, heavy duty, well constructed product that will last. Thanks for laying out the different options here! It seems like by the way you have them separated, there might be a different type of clipper based on thickness of coat and other attributes like that. I wonder if a person would be better off getting 2 different options just in case?